OpenServer® Release 6.0 is an impressive operating system for low-cost, commodity hardware that features large file support and support for a broad array of modern applications. XINUOS now owns the rights to the name ‘SCO’, XINUOS have released several UNIX-variants, specifically OpenServer & UnixWare. These systems are widely used in small offices, point of sale (POS) systems and backoffice database server deployments. 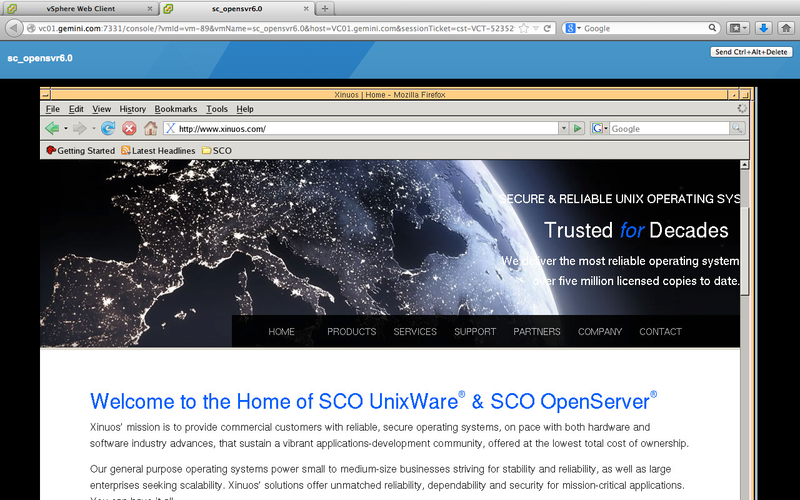 Using UnXis OpenServer 6 version 1.0.0 for VMware as a base, UnXis has built an optimized virtual appliance for VMware. 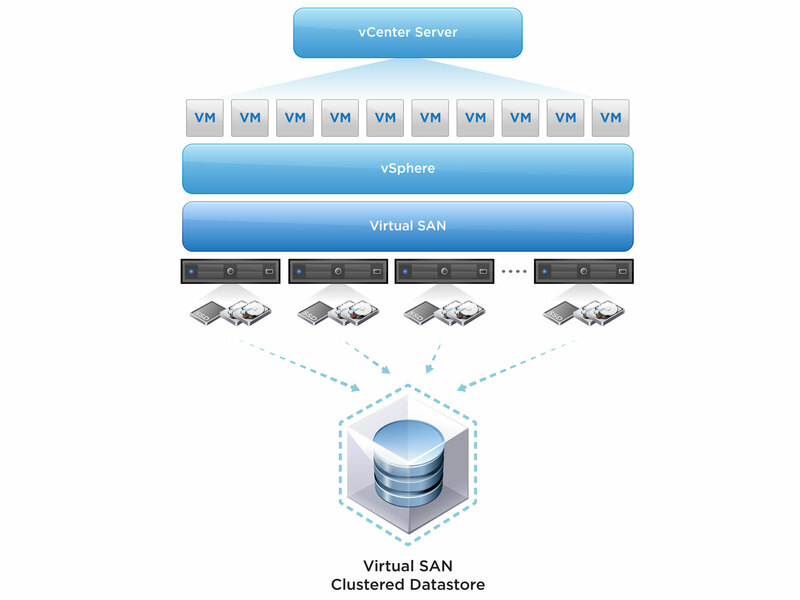 This virtual appliance uses a subset of existing and updated device drivers that provide optimal performance for vSphere environments with vmware tools pre-installed. Multi-Processor Support. OpenServer 6 has increased multiprocessor support from 4 to 32 processors, taking advantage of the power of more modern and up-to-date hardware. SVR5 is a hardened kernel that runs on low cost, industry standard servers and is capable of near-linear scaling as resources are added to the system. Ipfilter for Firewall and NAT Functionality. Ipfilter technology allows OpenServer 6 to be configured as a firewall. Multi-Threaded Kernel. By incorporating SVR5 technology into OpenServer Release 6, this kernel now has support for more modern applications. Includes KDE. With the addition of KDE, OpenServer 6 now has a modern, full-featured desktop, enabling a greater ease of use. IPsec. Encrypts all TCP/IP packets for security, and implements Virtual Private Network (VPN) functionality. OpenSSH and OpenSSL. These network protocols allow for logging into and executing commands on a remote computer. They provide secure encrypted communications between two untrusted hosts over an insecure network. Kernel Privileges. The SVR5 kernel provides a fine-grain privilege mechanism. Using fine-grain privileges, the system can grant a subset of root powers to binaries, allowing them to achieve specific objectives without exposing the system to potential abuse/exploits. Supports NFS v3 with TCP. Network File System (NFS) is an industry standard protocol for sharing files across networks. NFS v3 adds support for large files and NFS over the TCP protocol. Encrypted File System and Archives. This file system encrypts data stored on the disk. The data can then be de-crypted using private keys. VXFS Filesystem . High performance VXFS filesystem is journaled, ensuring data integrity in case of a hardware crash. Hot-Plug Memory Support. 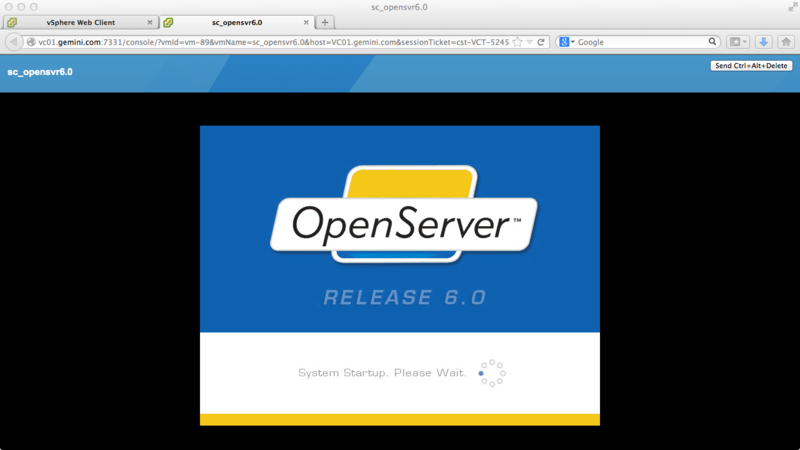 With OpenServer 6 you can add additional memory into the system without a system reboot. Reviewing the documentation there aren’t many restrictions and I’m sure even the smallest environments will be able to support this. 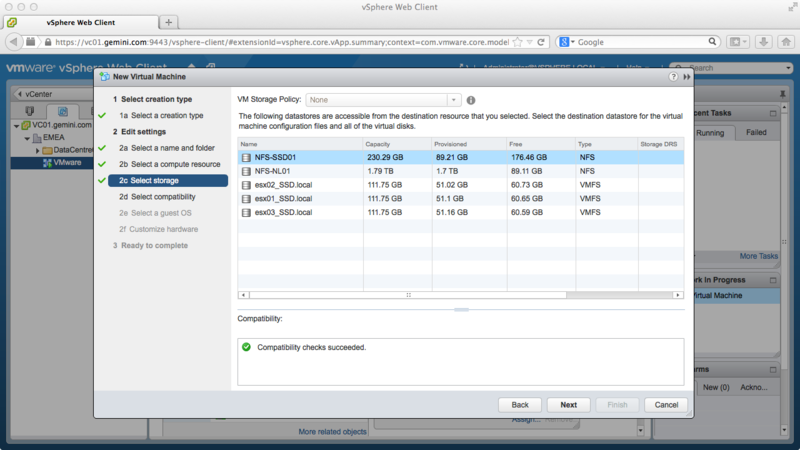 A datastore with at least 11 GB of free disk space to hold the OpenServer 6.0.0V for VMware virtual machine. Note that additional disk space can be configured for your virtual machine once the import is complete. 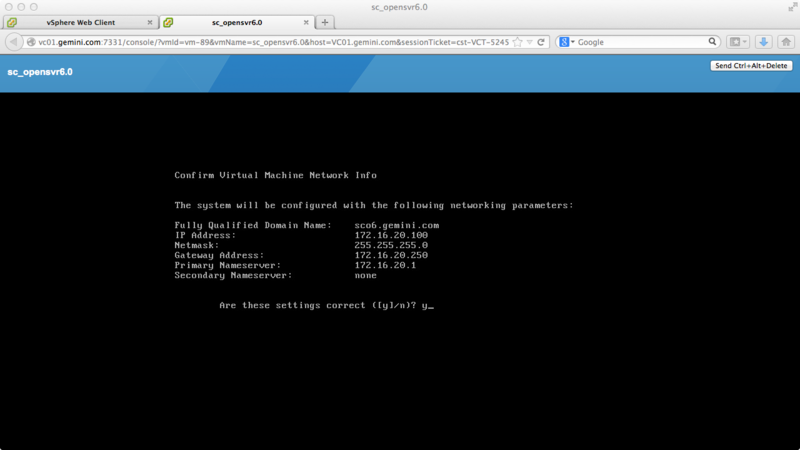 A Virtual Switch that can be used as a virtual Network Card by OpenServer 6.0.0V for VMware. At least 1 GB of free memory. Note that the amount of memory used by your virtual machine can be increased once the import has completed. After you have downloaded the ISO image, extract the ISO file to reveal the OVF file. 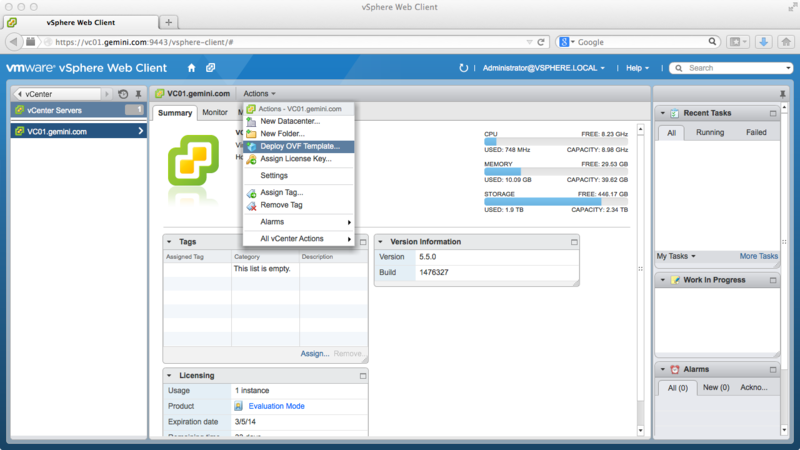 Launch the VMware vSphere web client and import the OVF file. 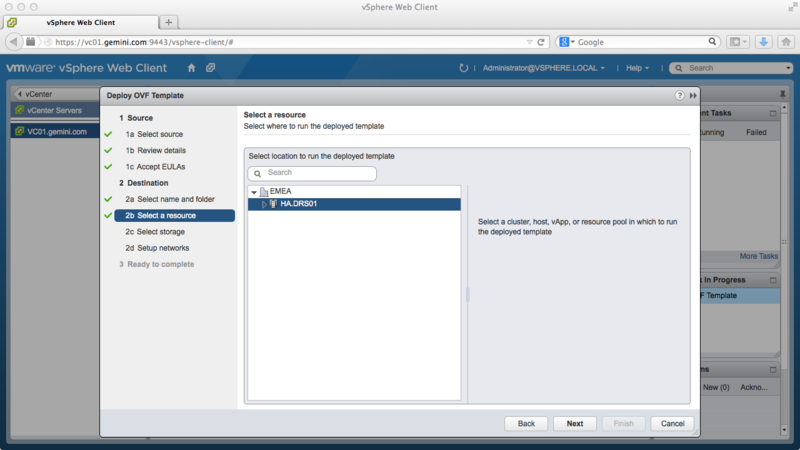 Select your vCenter Server Instance -> Actions -> Deploy OVF Template. On the Source screen browse to the location of the OVF template. Then select Open & Next on the OVF Template details screen. On the End User License Agreement screen read & accept the EULA. Review the template details and select Next. 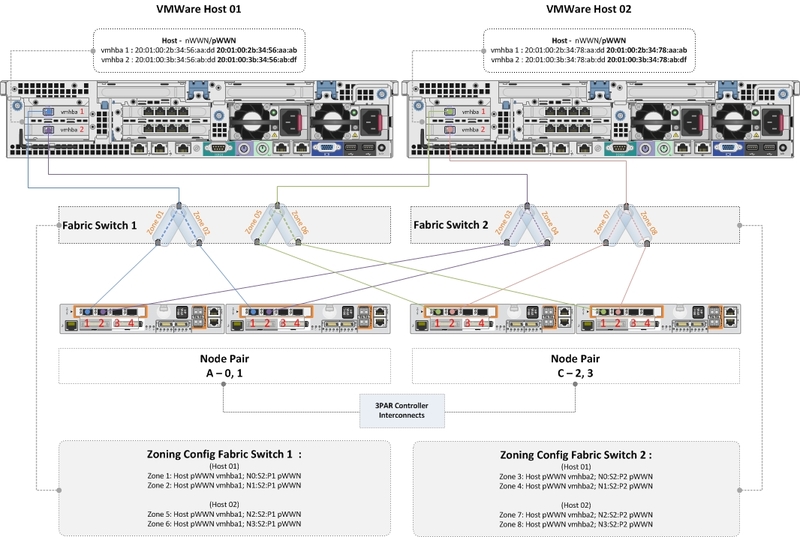 Select the host or cluster for the appliance deployment. Select the datastore to for the virtual appliance configuration files (this shouldn’t be on an NFS datastore as the appliance requires fully provisioned disks, however as an operating system SCO OpenServer does support NFS v3). Review the summary screen and select next & then finish. 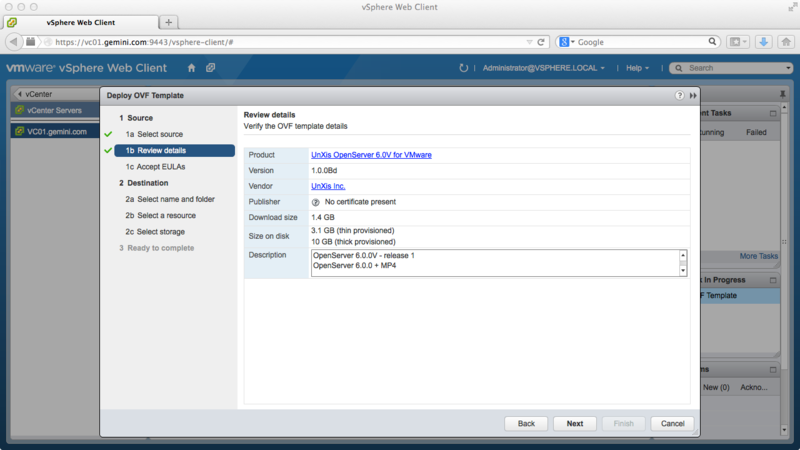 If all goes well the appliance should be imported into your vSphere environment. Accept end user license agreement (EULA). Select license scenario *(option 5 for a seven day trial). Enter an IP address / subnet mask & default gateway. Enter IP address of primary name server. Enter root password (options: define a password or a pronounceable password will be picked for you). Select your SCO login setting. Set name of mail server. Login & have fun! the KDE also includes the mozilla thunderbird mail client. Hopefully it will benefit others who are looking at implementing a HP/3PAR StoreServ solution, thanks for posting it Craig!